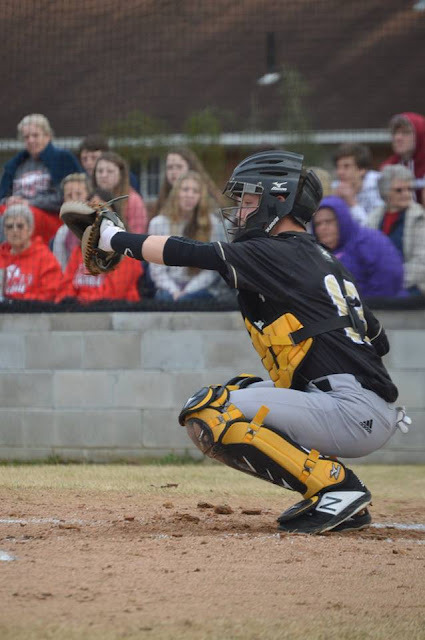 DONALDSON — The Carlisle Bison baseball team won two games out of three in the Ouachita High School Spring Break Tournament. Carlisle lost to Nevada 4-0 in the first game Thursday. The Bison beat fellow conference member England 10-1 in their second game Friday then routed Gurdon 16-1 on Saturday. The Bison are now 5-3 on the season. The Bison host Bigelow in the conference opener Monday at Rockefeller Park. In the loss to Nevada, the Bison had only two hits. Coby Brown and Blake White each had hits. Nevada scored twice in the third and once each in the fourth and sixth. In the win over England, the Bison led 2-1 after one inning. Carlisle scored six runs in the fourth and two in the fifth. Creed Carter scored three runs for the Bison. Brown and White scored two runs each. Also scoring were Gauge Shaw, Noah Seidenschwarz and Blane Sharp. Paxton Hitchings pitched three innings. He allowed no earned runs while striking out five to get the win. Zac VanHouten pitched two scoreless innings. In the win over Gurdon, the Bison scored four runs in the first and 12 in the second. The game lasted 2 1/2 innings. For the second game in a row, Carter led the Bison with three runs scored. Sharp also had three runs. Kamryn Taylor scored twice. Also scoring were Brown, White, JaCoda Gray, Ian Seidenschwarz, VanHouten, Jasean Harper, Shaw and Hitchings. Brown, Eli Moody, White, Shaw and Taylor had two hits each. “Saturday, we played a real young Gurdon team,” Tew said. “I think they start four or five freshmen. In those games though against a team which is struggling, we accomplished what we wanted. We swung the bat well so we earned the majority of our runs. Tew was pleased with the tournament.